Back in July, I headed up to Snowdonia to join in with the first Where’s Mollie Global Travellers event. Over the weekend we climbed Snowdon, swam in lakes and had some good ol’ fashioned fun in the outdoors. If you want to find out more about what we got up to, take a look at my round-up post of the weekend here or if you fancy tackling Snowdon yourself I’ve got another post all about that too! 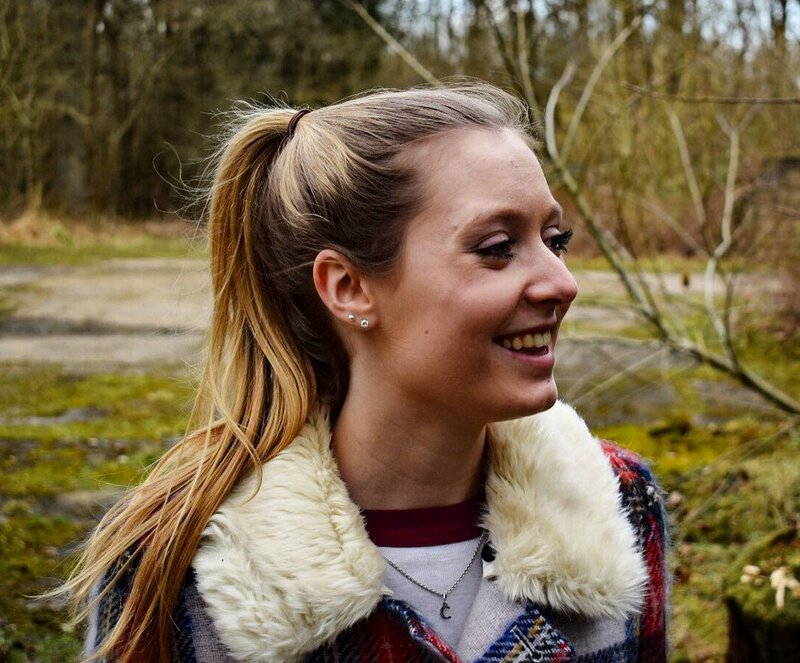 During the event Mollie ran a little competition to win a 2 night stay in a Safari Tent at YHA Tanners Hatch, Surrey. I was lucky enough to win (yay!) so I headed off for my 2 night stay-cation at the end of August. I didn’t know that the YHA offered Safari Tents before this so I guessed you probably wouldn’t either! If you’re just as intrigued as I was then this one’s for you! The YHA Tanners Hatch hostel is located right in the heart of Surrey, just outside Dorking. However, despite the many nearby towns and villages this hostel is kinda remote. By remote we’re talking no car access and a 15 minute (hilly) walk from the nearest car park. Suitcases won’t cut it people, don’t even try. In this respect Tanners Hatch is a very traditional-style hostel. It was, and still is, mainly for walkers of the many footpaths in Surrey such as the North Downs Way. If you’ve stayed in a YHA hostel, you’ll probably know that they all have a similar vibe and that bright green bedding. Tanners Hatch is very much the same in terms of bedding, but that’s about it. This hostel has a much less “corporate” feel to it than some others – it’s a tiny little cottage that does just feel very homely. As we stayed in the safari tent I can’t comment on the bedrooms in the hostel, but there is a very cosy lounge, kitchen and dining room. These facilities can be used even if you’re camping or staying in one of the safari tents as opposed to the hostel itself. One thing to note is that the only toilet and shower facilities on the site are located in a small wash block next to the hostel. This is pretty standard for camping/glamping but do bear this in mind if you’re booking a room in the hostel. However, both the toilets and showers are kept very clean so there’s nothing to worry about there. So, time to get onto the tents themselves. 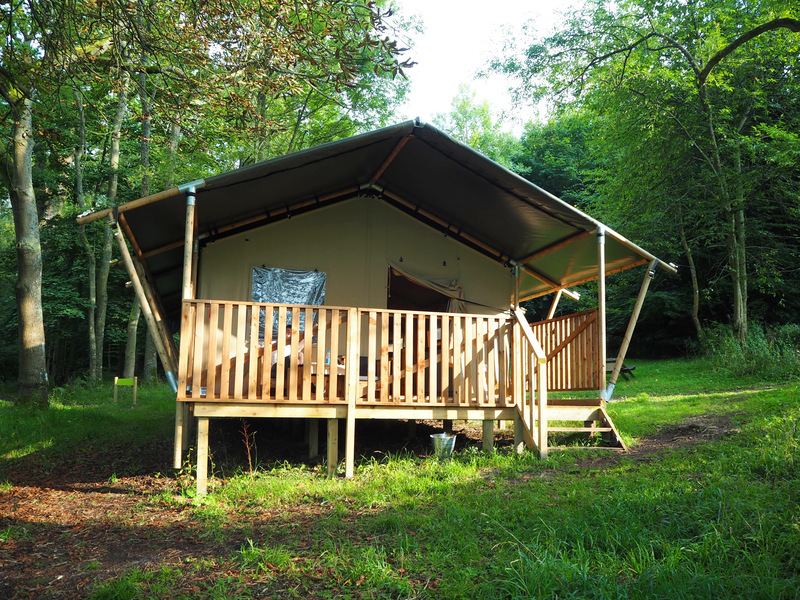 There are two Safari Tents at Tanners Hatch, both of which can sleep up to 6 people. 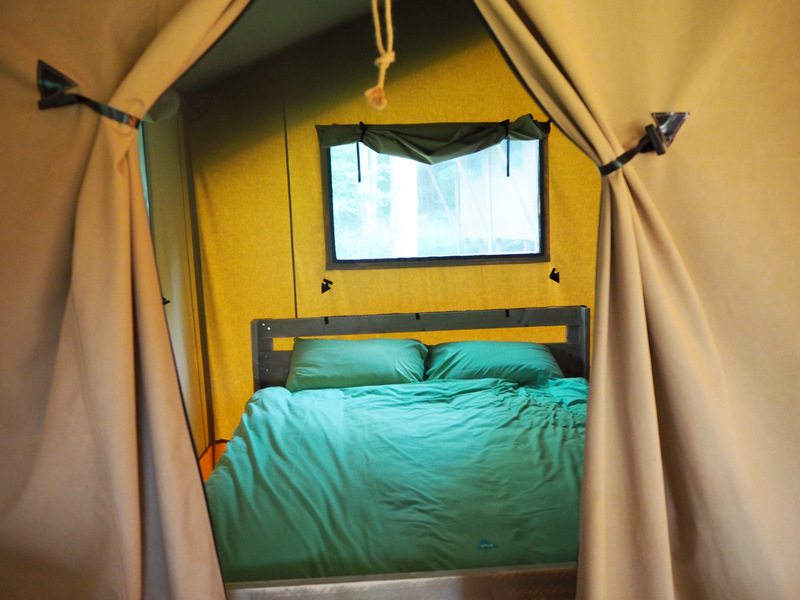 The tents have two bedrooms, one with a double bed and one with bunkbeds, and a sofa-bed in the main living area. The tents are laid out with a large kitchen/dining/living area in the front half then the two separate bedrooms at the back, both of which have canvas “doors” that can be shut to keep them enclosed. The kitchen has a hob cooker and some worktop space as well as all the plates/glasses/cutlery you could need. If you do want to cook in your tent, then I’d probably suggest stocking up on some pasta. There isn’t a fridge either so bring a cooler box if you want to keep perishables in your tent. We didn’t actually use the tent hob as we chose to cook in the main hostel kitchen which has all of your usual kitchen facilities. The main room of the tent also features a lovely wood burner to keep the whole tent nice and cosy on those chilly evenings. We spent a lot of our time sat outside on the covered veranda area outside the tent. 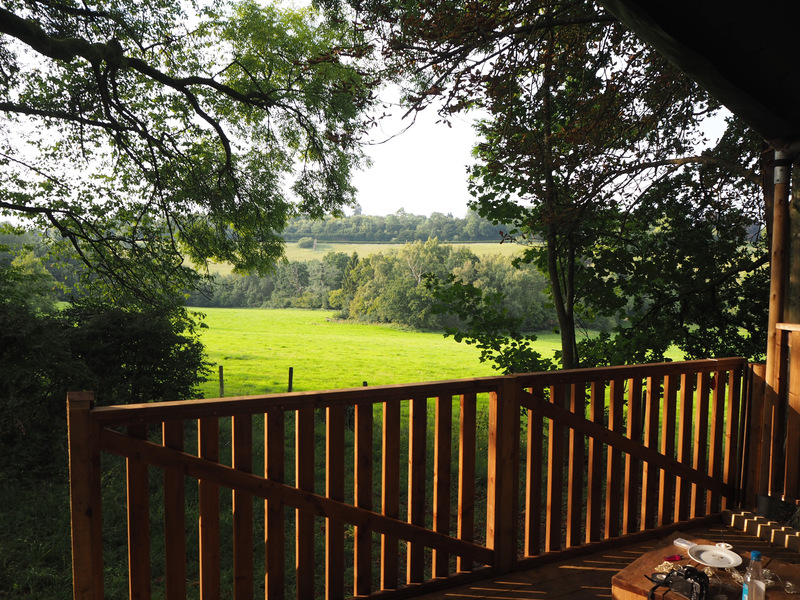 The hostel is situated in woodland looking over open fields so it’s a beautiful place to sit with some drinks and have a chat. If you get the choice, pick Tent 1 as this has the best view! Another thing to say is that there is no internet or signal at the hostel ( but you might be lucky and get a little) so it is the perfect place to clear your head and have a proper break from everything. You’ll also want to bring some lanterns or fairy lights with you as the tent has no lighting or electricity. We took some battery powered fairy lights to drape over the doorways and also used the old headtorch-next-to-a-bottle trick to make our own makeshift lamp. Bring all of the battery powered lights you can find, there’s no electricity in the tent itself. Bring a head torch too, it’s a little walk if you want to use the bathroom in the dark. There’s a fully kitted out kitchen in the hostel but only a hob in the tent itself. Take some flip-flops for the shower and to walk across the site. Pack light but be prepared! You will have to carry all of your things down to the tent and back again (which is uphill). However, once you’re at the tent there isn’t anywhere to buy amenities or food. No nipping back to the shops to get a packet of crisps. We took a large backpack each and a cooler box for our food/drinks. If you’re thinking about booking a stay at YHA Tanners Hatch I would definitely recommend that you do. I don’t have a single bad thing to say about my experience! It is a bit more “old-fashioned” than a lot of YHA hostels, but it has a slightly different feel that makes it more like a home from home. If you’ve got any questions about the hostel that I haven’t already answered, just drop me a message on social media and I’ll try to help you as much as I can. 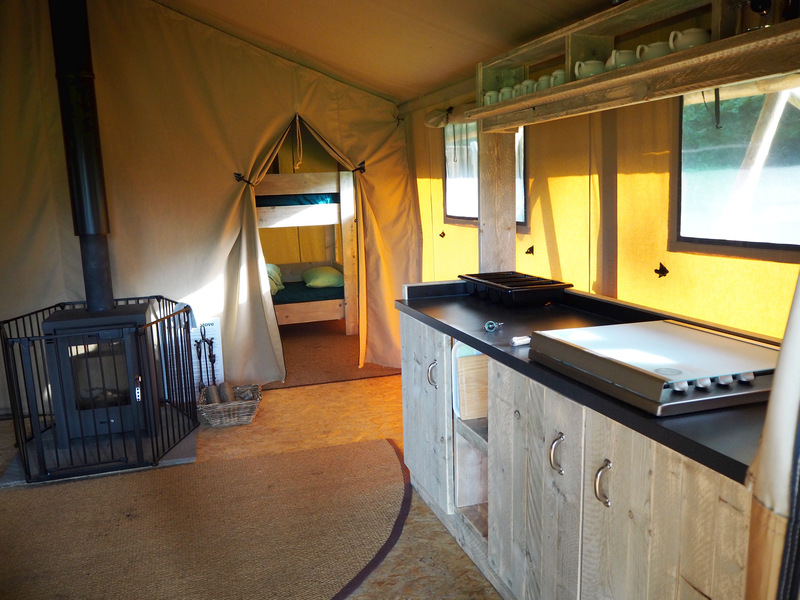 Have you ever stayed in a Safari Tent, if so where? I’d love to hear your recommendations. As mentioned, I won a 2 night stay in the Safari Tent at YHA Tanners Hatch. However, all content and opinions are entirely my own. "Thames Rockets, St Dunstan-in-the-East and a Free City Guide"